The image which other star shots will be aligned and stacked onto. If you only added star images but did not assign the base image, Sequator will choose the middle-ordered image as the base image according to file names. RAW file is recommended. If you use TIFF instead, do not alter the linearity of data. Any processing except vignetting correction should be avoided. Sequator accepts uncompressed 16-bit TIFF. Other star shots with the same focal length, aperture and exposure parameters. They will be stacked onto the base image. This option can be found on the left-bottom panel while highlighting "Star images". If you taken images under different exposure conditions(e.g. in different nights), you will see obvious rectangular borders after stacking. "Unify exposure" can alleviate the problem. Remember to apply identical exposure parameter(ISO, exposure time) while taking shots, otherwise "Select best pixels" or "Freeze ground" will not work well. If forgot, "unify exposure" can try to recover the quality issue while stacking. The images which was shot by covering with the lens cap. The ISO and the exposure time must be identical to the star images. These images are fully black but you can observe some hot pixels on them. Sequator will try to eliminate them before stacking. Suggest to provide noise images to get better star detection result and make better alignment. Professional people call noise images "dark frames." Note you have to prepare noise images right before & after taking star images. Because noises change with temperature. Dark current will be subtracted if sufficient noise images. The pure color images with the same focal length & aperture but proper exposure parameters. Vignetting images must show the vignetting of the lens. We may take vignetting images by covering with white paper/cloth toward an uniform light source. Or toward a pure white wall. Professional people call vignetting images "flat field frames." You can find there is an option called "Homogenize vignetting." We are difficult to take homogeneous vignetting images sometimes. This option can average & blur the vignetting of 4 quadrants. Not suitable if any dust shadow. Alternatively, you can export your shots to TIFF with lens profile correction. But lens profile is only an approximate model of the lens, it may not correct vignetting perfectly. The output file path. Sequator supports 16-bit TIFF and 8-bit JPEG. If you need post processing, TIFF is recommended. Supports star-aligned stacking for clear stars and non-align lighten stacking for star trails. You can find 4 mode options at the left-bottom if highlight on "Composition" mode. Accumulation: will accumulate star images onto the base image, similar to long-exposure on an EQ mount. Select best pixels: implements 3-iteration sigma-clipping average. It selects pixels from star images and rejects worse pixels. Freeze ground: detects what are moving and what are stable, and then stack them separately. You may choose this option if there is foreground in your picture and you hope the foreground can be kept sharp. Both the sky and the foreground possess the noise reduction effect by stacking. With this option, the foreground in the input images must be fixed. I.e., you should not put the camera on a real EQ mount nor move the tripod. Freeze ground works well on wide-angle stacking within 10 min or more. Must specify "Irregular mask" roughly to the sky part for better stacking quality. The option "selective" will perform 2.0 sigma-clipping average inner the mask. It will be useful to reject aircrafts or moving noises and, oh, meteors as well. A side-effect is, but some people prefer, the stars will be smaller and sharper. Align only: Generate aligned images in linear TIFF format into the output folder. 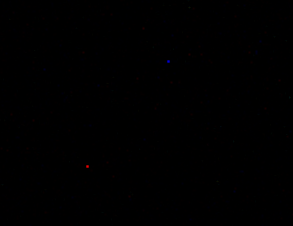 Note that linear images are darker but suitable for further processing. Advanced users who prefer other integration software or develop their own algorithms may need this function. You can use function to review the alignment result as well. "Select best pixels" & "Freeze ground" work only if 4 or more images are given. They both assume the exposure parameters MUST NOT change in the star images. If you forget, enable "unify exposure" may mitigate potential quality issues. Stack in RAM or by temporary files? The policy depends on the resource of your environment. If there is sufficient physical RAM to store all temporary results, Sequator will stack in RAM. Otherwise, Sequator will generate temporary files in the output folder. If uses temporary files, the speed bottleneck will be the accessing speed of your disk storage. Then you may be interested in SSD. Why not support median for selective? Sigma-clipping average is much better than median in quality, it is also more flexible. If it sufficiently fast, you will no longer need median. (In fact, median is also calculated during sigma calculation, but discarded finally.) Sequator will only choose most valuable methods. - Boundary line: Of sky, useful for captured with horizon. Sequator will only detect stars & analyze light pollution above the line. - Gradient: besides the boundary line, also assign a parallel zone for gradient composition. Fully composition will be performed above the gradient region. - Irregular mask: use brush to mark sky region. You can use mouse wheel to change the brush size, right button to erase mask. You don't have to mark precisely into pixels, but only to mark the sky region contain most stars roughly(do NOT touch the foreground). What will be done out of the sky mask? Suggest to enable "Gradient" or "Irregular mask" if there is foreground, even for the "Freeze ground" mode. You will obtain better stacking quality. Star light enhancement and light pollution filter will also refer to sky region to be applied correctly. If you accumulate too long time exposure, the result may become being over-exposed. Auto brightness can control the exposure properly while random noises are still averaged. If the result is too dark, this option will slightly lighten the result as well. This option allows slight over-exposure. If you tend to keep the exposure under strict control, suggest to enable "HDR" only and post-adjust the brightness on your own. Try to reserve all pixel values in the range which can be represented. This mode will extend or shrink values to exhaust the bits of the image format, either lighten or darken. The result may be lower contrast but maximized the room for post processing. If enable this option with "Auto brightness," this option will try to lighten the dark region of result image. Still notice "Auto brightness" allows slight over-exposure for bright stars. Try to detect dynamic hot pixels without noise images. Useful if you don't have noise image or your noise images can not eliminate all hot pixels. Note that no detection method can perform perfectly. If your star images have significant displacement, you will find the relative positions of stars are changed due to the lens or projection distortion. Some stars near the horizon are also shifted because of the atmosphere refraction. Thus stacking will produce false trails caused by the distortions, especially on image corners. Sequator will try the analyze the distortion of star images automatically and try to correct, so that they can be still points after stacking. This feature requires more visible stars for distortion calculation. "Lens" correction is suitable for lens-only, relatively simple distortion. Usually on a telescope. "Complex" correction is more suitable for ultra wide-angle lens, mixed or irregular distortion. Including perspective projection distortion, unexpected optical correction of lens, and atmosphere refraction. By experiments, the results are acceptable under 5 min(at least) with 20mm equiv. lens by unique DeepTracking algorithm. This option will analyze background signals, suppress them and strengthen the signals we desire. Assigning sky region can make the pollution analysis more accurate if there is foreground on the image. You can find the strength adjustment on the left-bottom panel while selecting this option. The deep sky pollution filter is a linear filter, suitable and more accurate for telescope lens. The uneven filter is a non-linear filter; designed for wide-angle, complex pollution environment. Both suggest to correct vignetting (by providing vignetting images) before processing, otherwise your may find the vignetting getting worse. The uneven filter is conservative and may leave some sky glow or halo above darker foreground. The option "I.A.A." is the acronym of "Intelligently-Aggressive Analysis." It analyzes the color tone of light pollution, and try to find polluted foreground regions, reserve more foreground details. Suitable to suppress the sky glow close to the darker foreground. No guarantee to generate a more natural result, please try by yourself. For example, be careful of the reflection on a lake surface, or objects have similar color. This option can be enabled only under uneven filter and if specified the sky region. Sometimes slight light-polluted sky looks more comfortable and natural. Don't be too extreme. NOTE: You MUST correct the vignetting(by providing vignetting images) before applying the filter. Otherwise the vignetting will deteriorate. Utilizing a lens profile is also OK, but lens profile is only an approximate model of the lens, can not correct perfectly. Recognize background and strengthen star light. You must give gradient or irregular mask if there is foreground. You can find the strength adjustment on the left-bottom panel while enabling this option. Merge neighbor 4 pixels to increase the sensitivity (will lighten) but will produce 1/4 smaller result image. Stack every N frames to produce low-noise frames for time-lapse. If input K frames(star images), this function will generate K - N + 1 frames finally. Not available in "Align only" and normal star trails(but the motion effect) mode. Suggest to enable "selective" for aligned stacking. NOTE: sky mask may not work for moving foreground. You should NOT put your camera on a slider. The color space of the output. Sequator supports standard sRGB, Adobe RGB, and linear sRGB. Usually sRGB is widely acceptable and is the default color space of Sequator. Sequator follows the stardard tone curve of sRGB & Adobe RGB. However, sometimes you may find some deep-sky object over-exposured/over-saturated. For this case, you can try linear output, and then adjust the tone curve by yourself on post-processing software. Sequator will read EXIF from image files. If EXIF is not present, this configuration value will be the default color space of inputs. Note if you select Adobe RGB, the embedded viewer of Sequator does NOT support color management but the result output is right. Sequator suggests to turn on this option under current condition.